We manufacture and install a full range of Cubicle and Curtain tracks to cover all requirements in medical facilities. Whether you have a new rails you require installing, or existing rails that you need to alter the configuration of, we can offer a professional reliable service to meet your needs. We are also able to offer a service to convert your existing rails to take the disposable curtains that are quickly becoming the curtain of choice in many wards and departments. 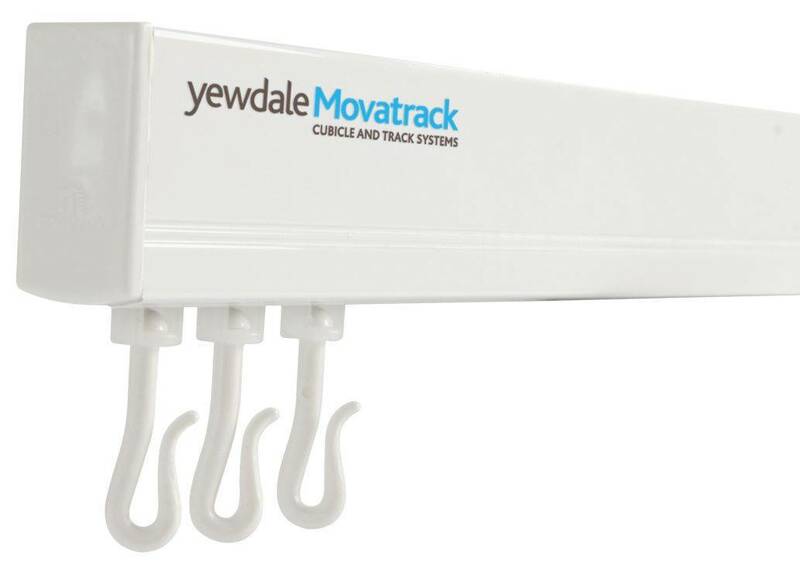 The rigisd, high-grade aluminium track section and maintenance-free, wheeled roller rooks are just an introduction to the many features of the Movatrack 100 curtain divider track system, which is in use in many hospitals globally. 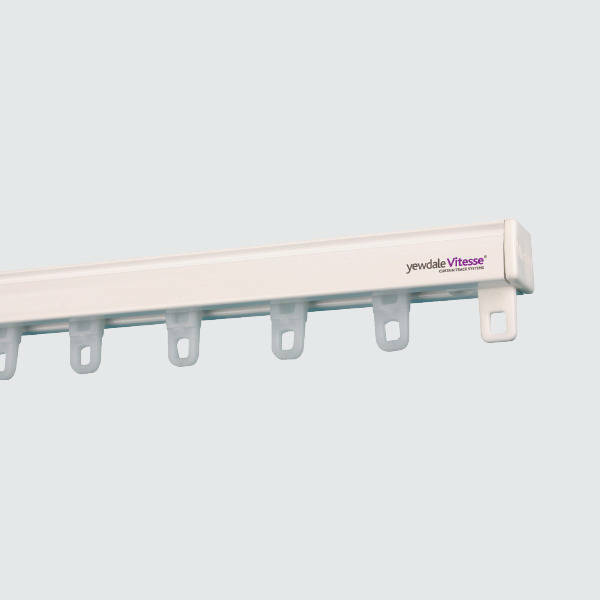 Designed to give years of trouble-free service, this curtain divider track system uses die-cast aluminium wall shoes for a secure locating where tracks meet the wall, and suspension hangers for a rigid connection to the ceiling, unless directly ceiling fixed. Supplied with a curtain removal point as standard. 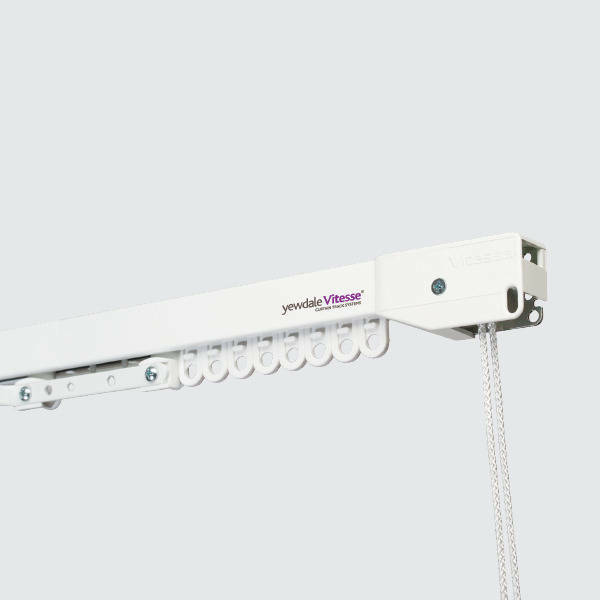 The Vitesse 6200W curtain track is hand operated as standard. Its white aluminium profile is designed to be used with medium to heavy-weight curtains. Low friction roller runners are supplied at a quantity of 16 per linear metre. The Vitesse 7400W cord drawn curtain track can be top-fixed or face-fixed as standard. Its heavy duty white aluminium track, with a neat square design, is designed for use with large or heavy curtains. Heavy duty roller runners are supplied at a quantity of 12 per linear metre.